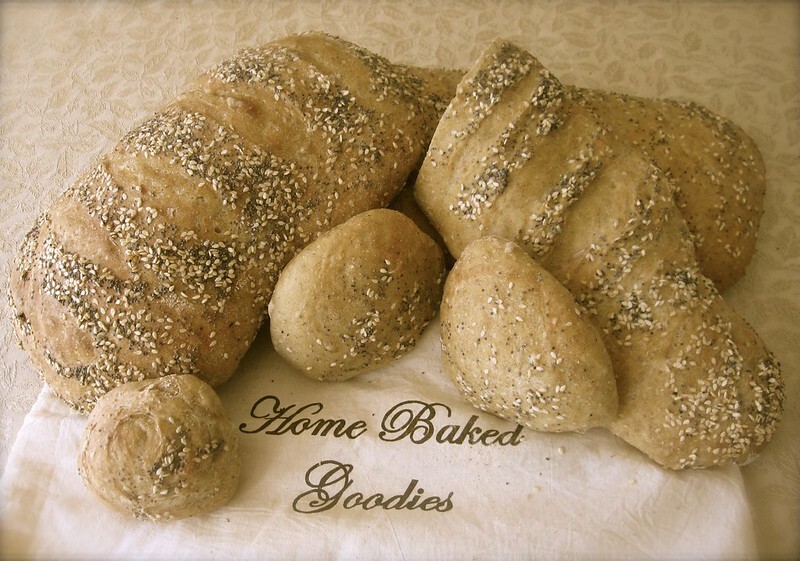 home baked bread: 3 methods compared | i made it so. i’ve been making bread for a number of years now. but it has never really felt like “homemade” because i’ve been using a bread maker. it’s a lovely little basic machine, which has done a good job for many, many loaves of bread. whenever i make a soup or stew, there is often a fresh hot loaf right beside, ready for dunking. 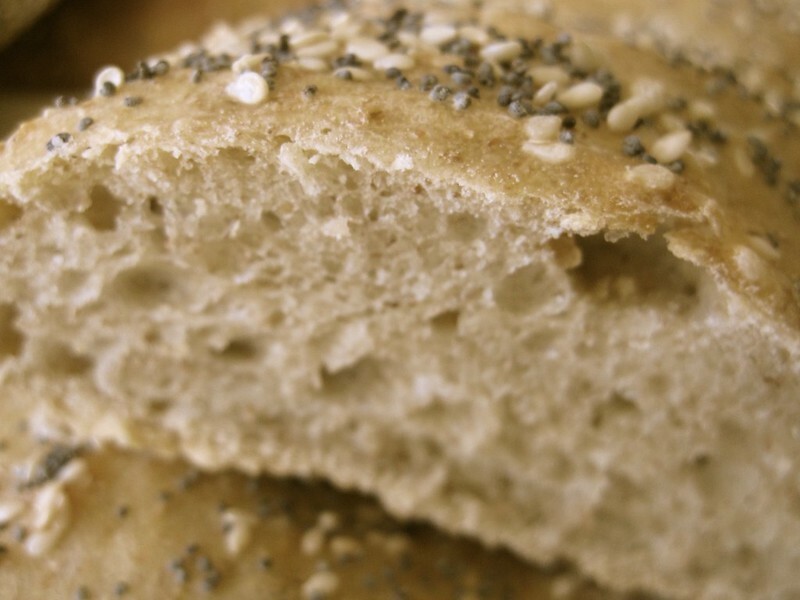 more recently, i have been using the bread machine for making all kinds of dough, like focaccia and pizza. the machine does all the kneading and rising for you, you take the dough out at the end of the cycle and stretch it out into whatever shape you need. but lately, it hasn’t been doing as good a job of making fluffy loaves. i thought it may have been because the yeast was bad, but i bought a new package with the same result: a very dense brick of bread. it may have had something to do with an incident from a few months ago. i had set up the machine as usual on the kitchen countertop. at some point during the mixing, the dough inside became lopsided. and like a load of laundry that becomes uneven and makes the machine thump, the churning action inside caused the bread machine to walk right off the counter and smash onto the ground! it hasn’t been the same since. anyway, i figured it was about time i tried to make bread on my own. no beeps and whirrs and pre-timed cycles. yes, as usual, my anxiety was high as i attempted something new. and no, it didn’t help that the bread monster (mr.MadeItSo) was hovering nearby asking “is the bread ready yet? how about now? now?… so… should i skip breakfast and wait for the bread, or have breakfast and then the bread. will it be ready for lunch time?” this may have been the point at which i yelled “out of the kitchen!” but you’ll have to ask my neighbour, as my window was open and she would know my exact choice of words. i made a couple of doughs, one using the 5-minute artisan bread method (pretty much the same as outlined in this video here) and another using dough made more traditionally (here is a good video on that method, though i used far less white flour and more whole wheat, and didn’t knead it nearly as much). * i used a baking stone (pizza stone) set in the oven and preheated to 450 F (about 230 C). it’s important that the stone is set in the cold oven and allowed to heat up with the oven, otherwise it can crack. for those who are curious, i got a large rectangular stone at kitchen stuff plus, regular price is $19.99. * i placed a small dish of water in the oven alongside the bread. the humidity keeps the crust from drying out too quickly, and lets the bread expand out further. delicious thin crust around a moist interior. * you can make about 2 to 4 loaves per recipe (depending on the size of bread you form), at the same time. with a bread maker, you can only make one loaf at a time. * you don’t need a container or pan in which to bake. most pans in bread makers are non-stick and i know some people don’t like to use anything with non-stick coatings. here, the dough is placed directly on the stone (or you can sprinkle corn meal on the stone first, or place a piece of parchment down first to prevent sticking). * you don’t have a little dent in the loaf where the paddle mixes the dough in a bread maker. * you can make the dough ahead of time and keep it in the fridge for up to 2 weeks, then bake all or some of the dough, as needed. * the dough is less “wet” than the 5-minute method, easier to work with in general, and you have more control and feel over how much flour you should add. all three methods can allow for creativity when it comes to adding toppings and ingredients, shaping, different bake times and so on. i also don’t think that any of the three methods is necessarily quicker than the others. my opinion may change on this as i make more bread, but right now, i think it all depends on number of things. like, how you’re able to split up your time (for example, if you work during the day, you can make the 5-minute dough the night before, refrigerate it and bake it through the week as needed), how many people you’re feeding at a time, and what you’re comfortable doing (kneading dough, getting your work surface messy, etc). i will maintain that any kind of home baked bread is great, because you know exactly what’s in it, and it’s as fresh as can be. This entry was posted in in the kitchen, tools, tips and techniques, Uncategorized and tagged 5 minute artisan bread, baking bread, bread machine vs 5 minute artisan method, comparing bread making techniques, home baked bread, kneading dough, traditional bread baking. Bookmark the permalink. yum! I haven’t made fresh bread in forever! I don’t like the waiting for the dough to rise part. yeah, that’s probably the hardest part! oh wow! i’m hungry for some bread now too! i know, the photos make me crave bread too. i just made 3 more loaves tonight, it’s crazy how fast we go through them. 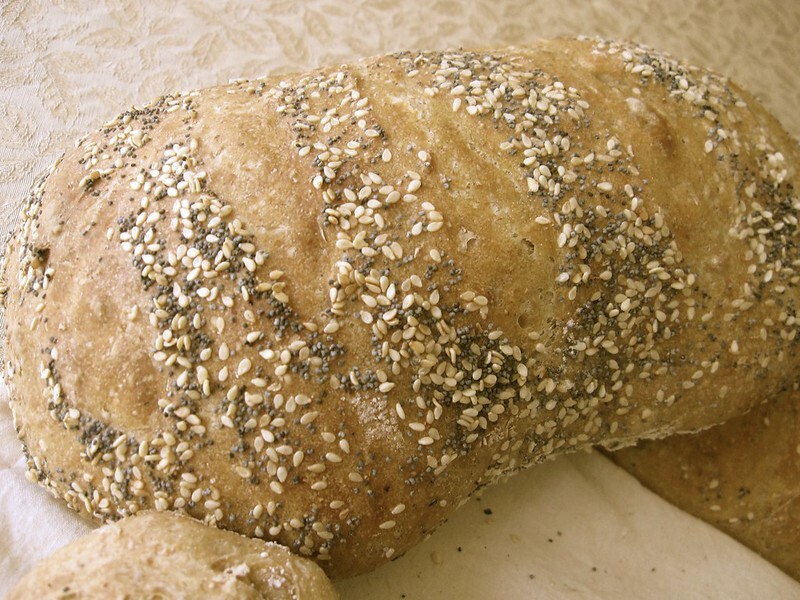 Pingback: thoughts on baking bread, part 2 | i made it so.